How does a Refinance on a House Work? If you are looking to refinance your mortgage in Kansas or Missouri, then you have found the right mortgage lender! Getting a new mortgage to replace the original is called refinancing. There are a couple options to consider when refinancing. A “rate and term” refinance which is to refinance and improve the terms and pay-off the present loan amount. Second, many people refinance and take “cash-out refinance” in order to obtain money for large purchases such as cars or to reduce credit card debt. The way they do this is by refinancing for the purpose of taking equity out of your Kansas City home. Some of the main advantages to refinancing is to obtain a better interest rate, loan type, reduce or remove Private Mortgage Insurance (PMI), change in term, remove a borrower from the loan and change mortgage loan companies. Often, as people work through their careers and continue to make more money they are able to pay all their bills on time and thus improve their credit history and credit scores. With this increase in credit comes the ability to procure loans at lower rates, and therefore many people refinance with their mortgage companies for this reason. A lower interest rate can have a profound effect on monthly payments, potentially saving you hundreds of dollars a year. Our mortgage refinance calculator shows how much you can save locking in low rates. What Do I Do To Refinance? The first step is to apply online. One of our experienced Loan Officers will review your application and help determine the best loan for your personal situation. Most mortgage lenders will require borrowers to maintain their original home loan for at least 6 months before they are able to refinance. Although, each lender and their terms are different. Therefore, it is in the best interest of the borrower to check with the specific lender for all restrictions and details. Is it Worth it to Refinance a Mortgage? Lower Monthly Payment. To decrease the overall monthly payment and interest rate, it may make sense to refinance, depending on how long you plan on living in your home. The cost of a mortgage finance will be paid for by the monthly savings gained. On the other hand, if a borrower is planning on a move to a new home in the near future, they may not be in the home long enough to recover from the closing costs associated with refinancing. Therefore, it is important to calculate a break-even point, which will help determine whether or not mortgage refinancing would be a sensible option. Change to a Fixed Rate Mortgage. With the threat of rising mortgage rates comes the opportunity to protect against rising monthly mortgage payments. Knowing exactly what your payment will be every month, for the duration of their loan term. Switching to a fixed-rate may be the most sensible option to hedge rising interest costs. One of our Loan Officers will review the best loan options for your personal situation. Balloon Payments. At the end of the balloon term, which is usually 5 or 7 years, then the entire mortgage balance would be due. With a balloon program, borrowers can easily switch over into a new fixed rate or adjustable rate mortgage. Eliminate PMI. When purchasing a home with less than 20% down payment usually require PMI. PMI is designed to protect lenders from borrowers with a loan default risk. As the balance on a home decreases and the value of the home itself increases, borrowers may be able to cancel their PMI with a mortgage refinance loan. Cash-out refinance. Generally, most homes will increase leaving home equity. Home equity gives the opportunity to put some of that cash to good use, whether it goes towards purchasing a vacation property, buying a new car, paying your child’s tuition, home improvements, invest in the markets, paying off credit cards, or simply taking a much-needed vacation. Cash-out mortgage refinance transactions are not only easy, they may also be tax deductible. The cash-out amount plus the present loan balance (current mortgage) total the amount of the new mortgage or new loan amount. Removing a borrower from a present mortgage. The only way to remove a borrower from a mortgage is to refinance. This is very common for couples going through a divorce. Additionally, parents that have co-signed for the children that have since improved their financial situation. 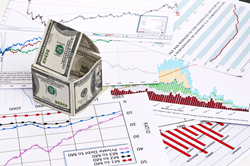 What is today’s mortgage refinance rates? Unsure If You Should Refinance? Run the numbers to see if refinancing makes sense for you. Our home mortgage calculator shows how much you can save locking in lower rates. We offer a variety of loans.Metropolitan Mortgage Corporation will find you the loan that is right for you!! !